FORT COLLINS, CO--(Marketwire - December 12, 2008) - Take your tunes around town with cases that protect against dust, drops and shock; the OtterBox Defender Series™ line expands with two new cases for the iPod® nano 4th generation and iPod touch 2nd generation. "The Defender Series line is great for any lifestyle," said Curt Richardson, CEO of OtterBox. "The case designs are extremely durable, yet small enough to slide in your pocket or throw in your gym bag." 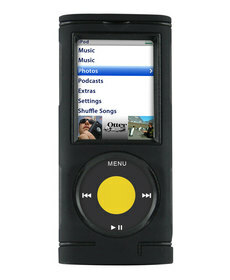 -- OtterBox for iPod nano 4th generation: A clear polycarbonate membrane covers the screen and Click Wheel to safeguard against scratching and dust intrusion. -- OtterBox for iPod touch 2nd generation: A clear polycarbonate membrane protects screen and light sensor against scratching, as well as dust intrusion. 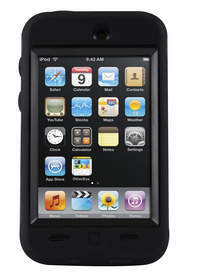 The OtterBox for iPod nano 4th generation Defender Series offers a built in kickstand on the back of the case so users can bring the "big screen" virtually anywhere. The Click Wheel remains accessible through a thin, protective membrane and the screen stays safe from scratches so you can enjoy podcasts or your favorite TV show on-the-go. Silicone plugs provide accessibility to sync/charge, hold button and headphone jack. The Defender Series case for the iPod touch 2nd generation offers a wide screen window for easy interaction as well as complete protection. Sync/charge and headphone jacks are accessible via silicone plugs and all device buttons remain usable through the case. Take your iPod nano 4th generation or iPod touch 2nd generation out on the town without fear of damage or destruction; protect with a Defender Series case from OtterBox! interfere with satisfactory operation of equipment. -- 4.68" X 2.74" X 0.65"
*Notes: Cases do NOT protect against water. Will provide some added protection against drop, bump and dust.